Beauty tips for dry, oily and combination skin! StoryBeauty tips for dry, oily and combination skin! There are plenty of things you need to know about your skin. So for you here is the most comprehensive guide which will help you in treating three different types of skin. Each one of us has different skin type! And, with different skin types, you have different needs and even different problems. But, have you ever thought where your problem lies.Indeed, your skin type can change over time. For example, younger people have normal skin than older folks. It's very important for you to identify your skin type and take care of it accordingly. Your skin type depends on three major factors. Oily skin can give you either dull or shiny and greasy sheenOily skin is the most troublesome skin type. People with oily skin face countless troubles. The common problems of oily skin are enlarged evident pores and a dull appearance due to the overproduction of oil. Frequent acne and blemishes, blackheads, whiteheads, and dark spots are also some of the common problems of oily skin but when maintained, this skin type can have a certain glow that other skin types don't. So, oily skin can give you either dull or shiny and greasy sheen. Tips: You have to maintain a healthy diet! Avoid oily and junk food and consume lots of raw veggies and fruits. Try to keep your face always clean. This helps in controlling the excessive oiliness and keeps acne at bay. Dry skin gives you dull and rough complexionDry skin can make you feel very uncomfortable! 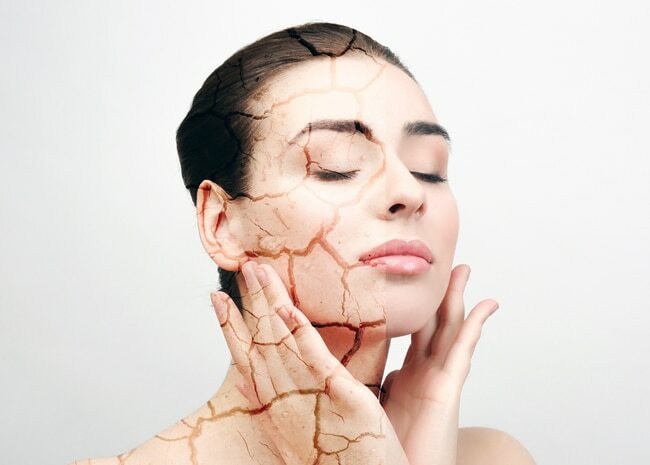 Especially in the winters your skin can crack, peel, or become itchy, irritated, or inflamed. When not taken care of properly in extremely cold temperatures, it may resultin intense pain and an unsightly appearance. Dry skin gives you dull, rough complexion with red patches, usually seems to be fine textured and dull, but on a closer look, there may be more visible lines and almost invisible pores particularly around the corners of the mouth, eyes, and forehead. If neglected, your skin will get less elastic, it may lead to wrinkles. Tips: Take shorter showers, don't use hot water while taking a shower and baths, no more than once daily. Don't scrub and use mild, gentle soaps or cleansers while bathing. Never leave the shower without applying a moisturizer. Moisturize your skin with ointments and creams, it works better than lotions for dry skin. Reapply it if needed throughout the day. If you have a combination skin, you get to suffer from the good and bad qualitiesMany people have this type. With combination skin, you get to suffer from the good and bad qualities of both the skin types! 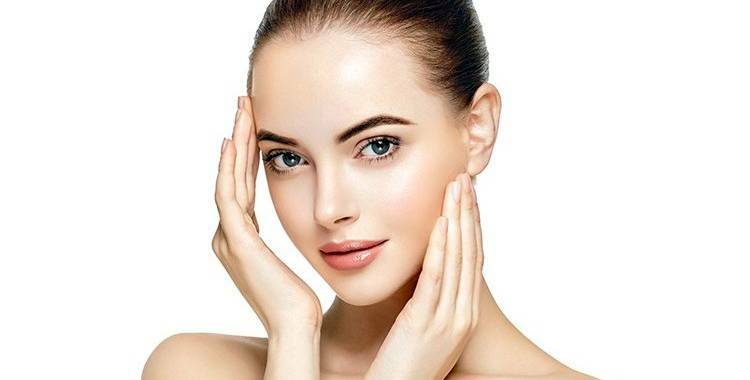 Your skin can be dry or normal in some areas characteristics i.e., itching, flakiness, and redness on the cheeks and oily in others, such as the T-zone (nose, forehead, and chin) dry skin. Tips: So, if you have a combination skin, you need to follow a few very basic steps that can help your skin look and feel better. 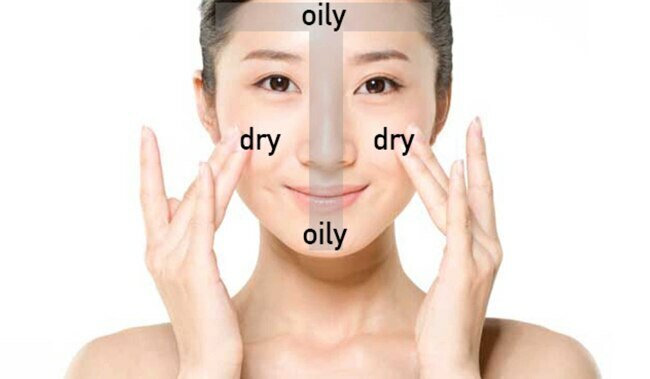 Apply balanced moisturizer, too much moisturization will cause problems with the oily zone and less of it will cause problems with the dry zone. So search for the perfect moisturizer for your skin. Your hormones play a great role in deciding your skin type, be it oily or dry. There will always be variations in the degree of oiliness and dryness with this skin type. Skincare using homemade face packs can make you winter-ready!